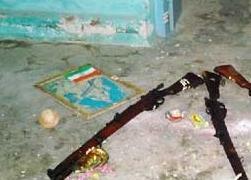 Dravidian atheists attacked Ayudha puja at Salem police station! 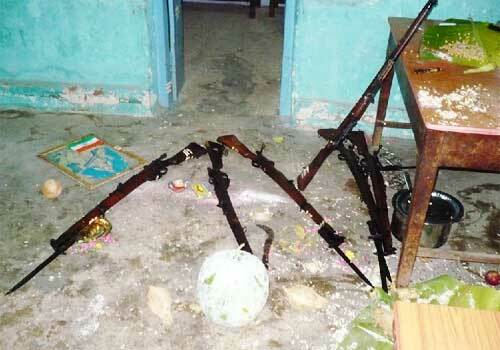 METTUR: Protesting against the celebrations of ‘Ayutha Puja’ in Mettur Police station, a group of volunteers belonging to Periyar Dravida Kazhagam (PDK) stormed the station and ransacked it on Saturday night. The incident took place when policemen were preparing for the Ayutha Puja celebrations in which arms and ammunition would be readied for worship, a ritual that is carried out every year on the occasion of Ayutha Puja. A group barged into the Police station after pushing the guard on duty Rathnam. 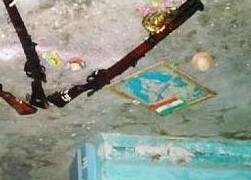 They also vandalised the rifles, wireless sets, tables and chairs in the station before breaking the pictures of gods and goddesses and defiling the puja materials. 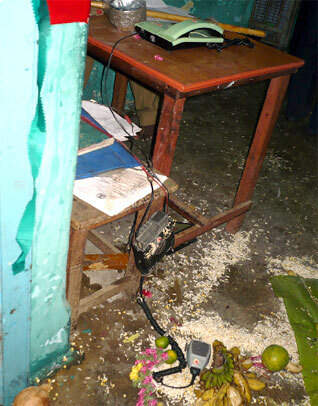 On hearing about the vandalism inside the police station, special teams from neighbouring police stations rushed to the spot and within an hour, secured 4 persons including the PDK district president Martin, treasurer Govindaraj and two cadres in connection with the incident. All the four had been produced before the magistrate in Mettur and remanded to custody in Salem Central Prison. Meanwhile a group of PDK cadre tried to picket the police station late in the night. However additional reinforcements were rushed and the situation was brought under control. Mettur Revenue Divisional Officer Velu, DSP Sivanandam and other senior officials visited the station. 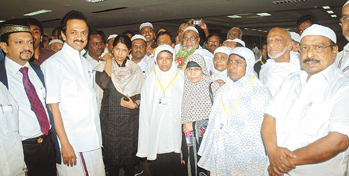 Ironically, Stalin (the Dy CM of TN) son of the atheist CM – Karunanidhi sent off Haj pilgrimage with sawls! Thus the Dravidian atheism works always differently!